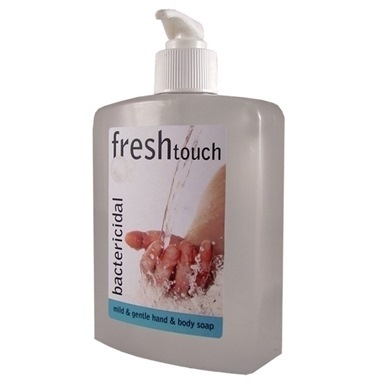 Fresh Touch Bactericidal Hand & Body Wash Soap is a biodegradable and anti-bacterial soap which is mild and gentle to hands. Contains glycerine for added protection. Suitable with both hot and cold water. 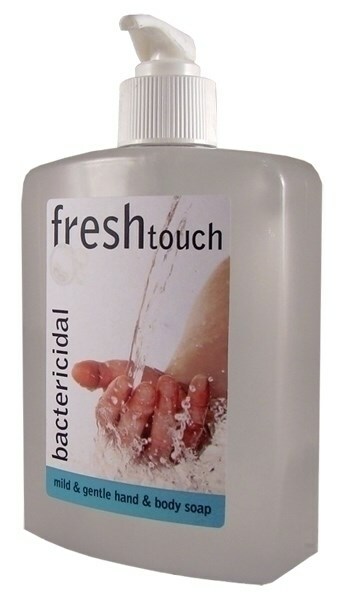 No solvents or harsh chemicals, so this soap will not taint when used in food preparation areas. Bacteriastatic effect against Escherichia Coli, Pseudomonas Aeruginosa, Proteusvulgaris and Staphylococcus.